This guide will not lead to cold hard cash for your organisation but will open the door to what is possible by taking advantage of some of the biggest technology funded donations available to UK registered charities. Before we start a bit of background: IT Rockstars under different guises has supported and transformed a number of 3rd sector organisation’s IT systems over the past 10 years. This has been a combination of working with internal IT teams and acting as a fully outsourced IT provider. The knowledge contained herein accounts for experiences on how software donations can help transform 3rd sector organisation’s IT infrastructure and technology usage. Microsoft offers Office 365 E1 license as a donation to UK registered charities. Exchange Online Services – this is your email system with inbuilt spam protection and antivirus filtering. It’s operated in multiple Microsoft data centres. If your current email system is installed on a server you can move that function to the E1 license. This will reduce the amount of support required and storage on any internal servers you may have. Skype for Business – instant messaging between colleagues and the skype everyone is used to but in a business environment with calendar integration. What’s not included in the E1 license is the Office applications, that is Word, Excel, Powerpoint etc. For this, a separate donation by Microsoft is available which will give you access to Office 2013 and can be fully integrated with Microsoft Office 365 E1. Many managed IT service providers will have installed on both your desktops, laptops and servers antivirus software. This, of course, is crucial to the running of your IT systems and can help protect against things like ransomware. However, it comes usually at a monthly cost per machine. For example, let’s say the charity in question has 200 desktop PCs. A rough cost for antivirus licensing will be around the £2.50/machine mark per month that equates to £6,000 annual on running antivirus licensing. There’s a far cheaper option and that’s through TT-Exchange’s Bitdefender donation. At £179/year for 50 licenses, that equates to a saving of £5,284 to have a fully protected system for 200 users. You can’t escape the need for servers if your organisation is a certain size. Things like password enforcement and local file storage are still required – it’s not all cloud just yet, however, there are saving to be had on server infrastructure to. Again this comes from Microsoft donation scheme. They have an extensive list of server side software that’s offered at 95% of the cost. 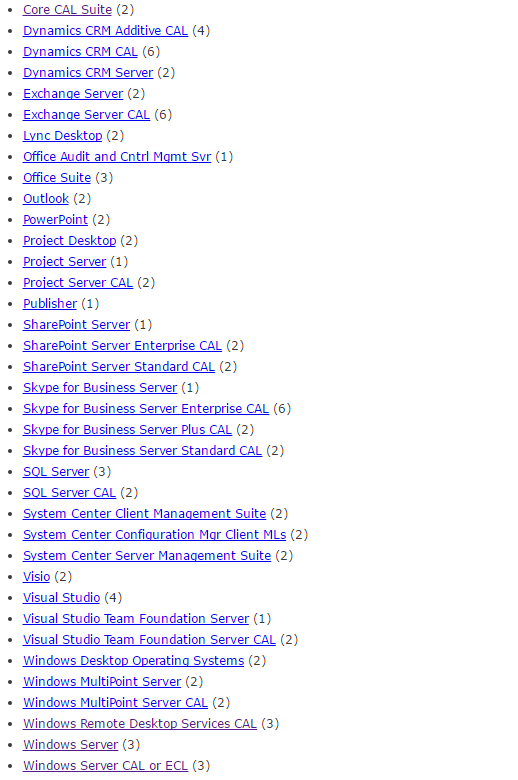 Let take for example Microsoft Remote Desktop Services (RDS). This is a technology that allows you to have a personalised desktop and take it anywhere there’s an internet connection. Simply sign into the computer and click the remote desktop icon and you have access to a personal desktop with all your apps, files and network resources no matter where you are. It’s a powerful solution which works particularly well for organisations with multiple locations or mobile/home workers. If you were to set up RDS in a commercial environment the cost per user is around £100 per connection. Then this the cost of the server license and another £500-£1000. Costs can really creep up with larger organisations. But with the use of the Microsoft donation program you can hammer down what would be something in the £1000’s price bracket to three figures. TT-Exchange’s extensive Microsoft server license donation program. Which is huge, a full-time entry salary position for a member of staff possibly. This by no means is an exhaustive list of the donation hacks that can be done and we’ve only mentioned Microsoft in this example. Other big players include Google, Adobe & Cisco. In fact with Cisco, you have access to actual hardware at a fraction of the cost. For a full audit and strategy consultation of your organisation’s technology requirements schedule an appointment by clicking [ninja-popup ID=501] here. [/ninja-popup].